It was 5 am in my hotel room. This was a big day. After weeks of preparation and flying halfway around the world, the time had arrived. I had three architecture job interviews scheduled in one day. Landing a great job offer would be the culmination of years of experience and study. I had my routes laid out, my portfolios and clothes ready. I had meticulously planned everything from the color of my tie to the texture of my messenger bag. I put on my dress shirt and disaster... the top button was missing. I started to panic as thoughts of rushing to the nearest men's store ran through my mind. Instead, I just laughed at the ridiculousness of the situation. Luckily the tie did its best to hide the problem. Regardless of how well you plan, things are going to go wrong. That being said, it is better to be over-prepared than under-prepared. So here is my list of things you want to be sure to bring to your next architecture job interview. I also included a few things you shouldn't bring. Try to find out how many people are going to be interviewing you. This is an important piece of information when preparing as you will want to provide a copy of each of your documents for the individual interviewers. Bring at a minimum five copies of your resume (CV) since it is unlikely you will have more than a few people interviewing you at one time. If you have applied for multiple firms using different resumes make sure you bring the exact resume version that you applied to this position. If they print out the version you emailed and/or uploaded to them when applying it could be confusing if you bring a different copy. As with your architecture resume (CV), you want to bring several copies of your sample portfolio that you used to apply to the position. While it is unlikely they will want to go over this document (the interview portfolio is the priority) it is still good to bring a few prints. Since by definition the sample portfolio is only several pages long, it doesn't need to be bound like the longer interview portfolio. Clips or staples are fine. Perhaps the most important thing to bring to your architecture job interview is your portfolio. This is a longer version of your sample application portfolio and includes the greatest hits from your architecture career and/or academic work. The longer you have been out of school the less academic work it should include. As a rule of thumb if you have been working for 5+ years your portfolio should only contain professional work examples. Printing your portfolio so it looks professional and doesn't cost hundreds of dollars can be challenging. Blurb is the best way I have found for creating high quality architecture portfolios. 1. 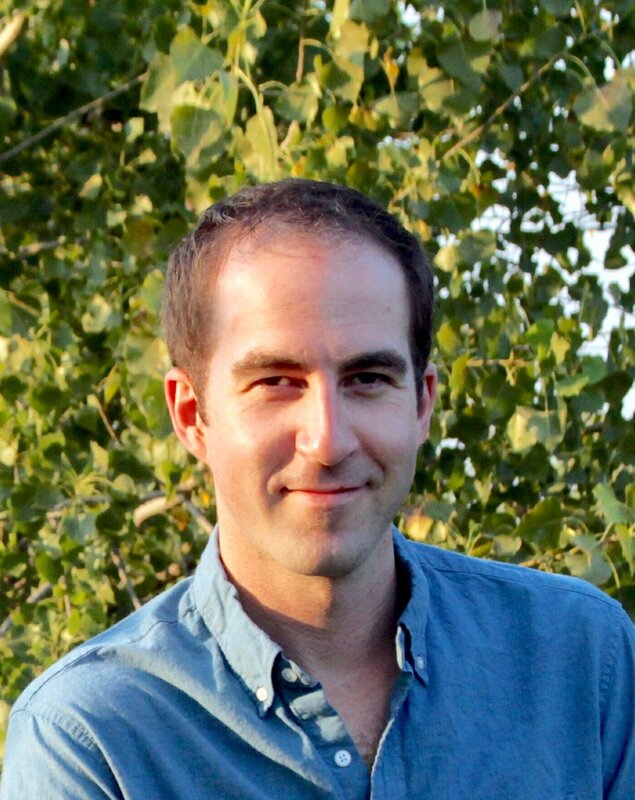 Upload your PDF to the Blurb site. 2. Select your printing preferences. 3. Get it mailed to you. A great solution for creating a professional, book-quality portfolio at an affordable price. I have partnered with Blurb to get you an exclusive discount. Get 20% off your first order. Enter the Promo Code ARCHITECT20 at checkout to get the immediate discount. One question that comes up a lot is, "should I bring a set of construction drawings to my architecture interview?" The short answer is yes. Depending on your role in the project it can be appropriate to bring a full set of drawings. Print a small size set of the construction drawings (or whatever phase you are discussing) at a maximum size of 11" x 17" (A3). This is big enough to discuss general arrangement drawings but small enough to be carried and discussed at the interview table. To cut down on the page numbers you can print double sided and only include the architecture portion (exclude electrical, structural, landscape, etc.). Select only a handful of particular large scale details or plans from the drawing set to include in your interview portfolio. Word of caution: when you bring a set of 300+ pages you are running the risk of being questioned on things you did not work on. Because architecture projects are a team effort, this is a likely scenario. While it is generally understood that you didn't draw every line on the set, it is best to avoid an embarrassing situation. For this reason I prefer option #2 because you are isolating the set down to just your direct involvement on a particular drawing, minimizing the risk of being asked something you don't know. Everything in your interview arsenal should scream professional. The bag in which you carry all of your portfolios and documents is one of the most visible components and therefore deserves your attention. I use this messenger bag myself. It is a professional looking, non "man purse" minimalist option. 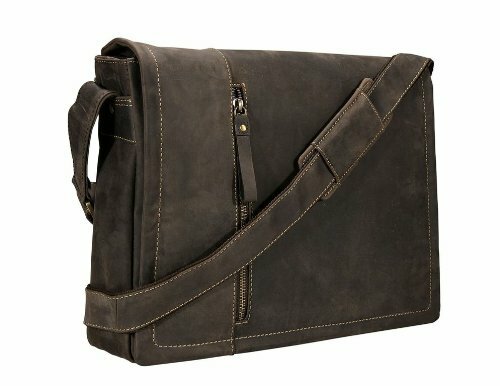 Great for interviews, meetings or laptop (this one is for a 13", it is also available in 15"). A great option for a man or woman. Make sure you bring a notebook and a writing instrument. Before the interview, write down all of the essential information including the office location, interview time, names of interviewers and any other contact information. While this data may be on your phone it can get lost or lose service leaving you in the dark. During the interview write down the names of your interviewers and get their business cards. This way you can send a personalized follow up thank you email to each interviewer. Taking notes during the interview can also help to take some of the pressure off during the questions and give your hands something to do. 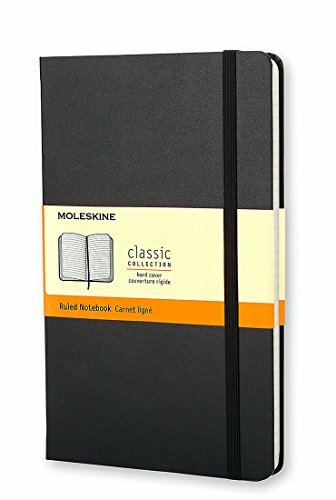 Of course the must have notebook for any architect is the Moleskine Classic Notebook. 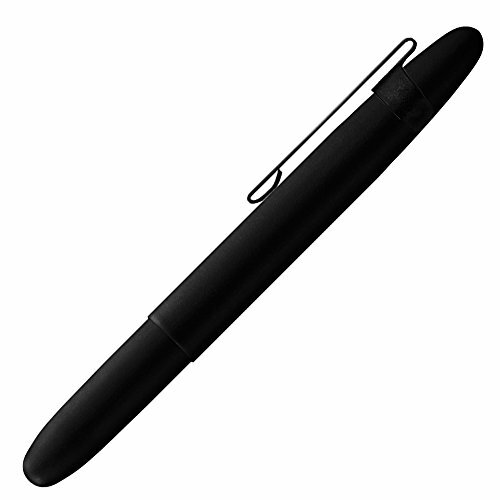 Since no detail is too small, for a pen I recommend using the all-metal Fisher Space Pen Bullet to reduce the risk of breaking and leaking all over your documents. You should always bring a list of questions to ask your interviewers, this will show that you have done your research. Typically at the end they will offer the opportunity for you to ask anything, however feel free to scatter your questions where relevant throughout the conversation. 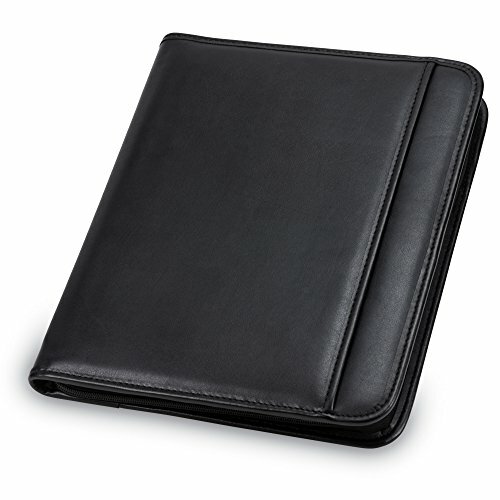 Don't bring your portfolios and documents in a casual bag, this includes any kind of backpack. No patches, rips, buttons or crazy colors or patterns. 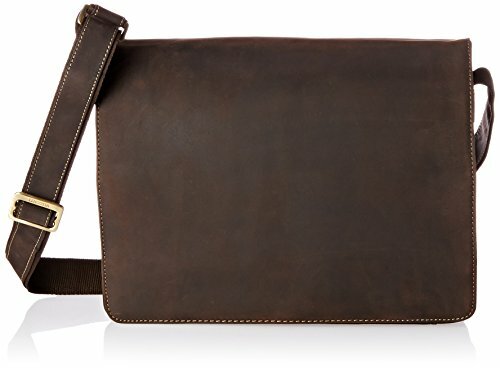 Stick with something simple and professional like the Visconti Leather Messenger Bag I mentioned above. I had never even considered this until it came up in a forum discussion. Do not bring physical models to an architecture interview. Models are too cumbersome and delicate to haul to your interview. Instead of bringing the actual model just include photos of it in your portfolio. If you have been working in an architecture office you likely have examples of your work printed on full size sheets. Standard sizes in the U.S. can range anywhere up to 36" x 48". Do not bring drawings this big. It is way to difficult for you to carry and present in an interview situation. Bring a small set or include individual drawings as mentioned above. I often get the question of whether or not to bring a laptop or tablet to your interview. While showing your portfolio on a screen makes sense from a practical point of view, there are just too many things that can go wrong. From dead batteries to inappropriate background images, pop ups and countless tech problems. It is also difficult to share a single screen with multiple interviewers. Stick with the printed portfolios. I will say that it is a good idea to bring a tablet with the PDF of your portfolio on it. That way, worst case scenario, if your portfolios get wet you have a last resort backup. Just make sure you clean off any unprofessional apps (Tinder, etc.) and turn off cellular and WiFi to avoid any message notifications. Also, speaking of devices, make sure your phone is off during the interview. While this should go without saying you should not bring anyone with you to your interview. This includes friends, family or emotional support animals. They can support you when you are done. However, it can be helpful (especially in an urban environment) to have someone drop you off at the interview — or take an Uber. That way you do not have to worry about finding a place to park and run the risk of being late. I hope this has been helpful for your upcoming architecture job interview. As long as you have prepared properly, know yourself and your projects you will be just fine. To help you ace your upcoming interview, download the 82 Q&A architecture interview flashcards. Get instant access to prepare quickly and easily from your phone using the example questions and provided ideal responses.